Did you get a paper wallet at one of our bitcoin ATMs? In order to spend those funds you'll need to import the private key into a bitcoin wallet on your smartphone, tablet or computer. 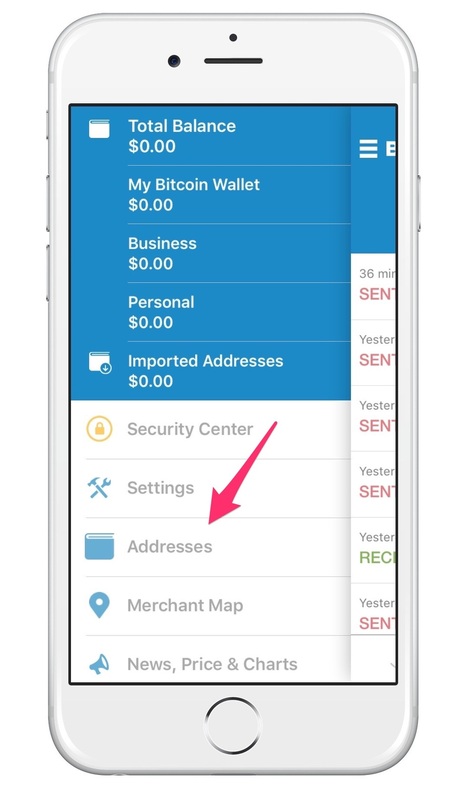 If you don't have a smartphone please see the web wallet import tutorial. If you're looking to move funds off of a cold storage paper wallet, check out our guide to Importing BIP 38 paper wallets. Paper wallets are a simple way to protect your bitcoin from online threats, like hackers, spyware, and keyloggers. But when it's time to spend your coins, you'll need to bring the keys back online. We've put together guides for a couple of popular wallets to walk you through the process of importing private keys from paper. First, download and setup the Blockchain wallet on your phone. 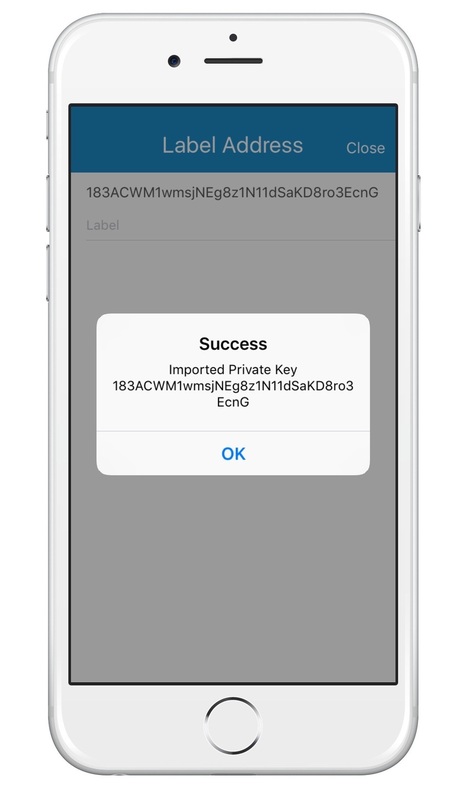 Step 4: Scan the private key from your paper wallet. (tip: cover the public key with your hand). First, download and install Airbitz from the App Store. First, download and setup the Mycelium app from your app store. Step 1: Press "Cold Storage"
Step 3: Give it a few seconds... and you're done. BIP 0038, that is Bitcoin Improvement Protocol 38, is a specification that allows private keys to be encrypted with a password. It is particularly useful for printing paper wallets, because anyone who stumbles on a BIP38 paper wallet also needs the password in order to spend from it. You don't need to use these as your primary wallet, but they are useful to have around. 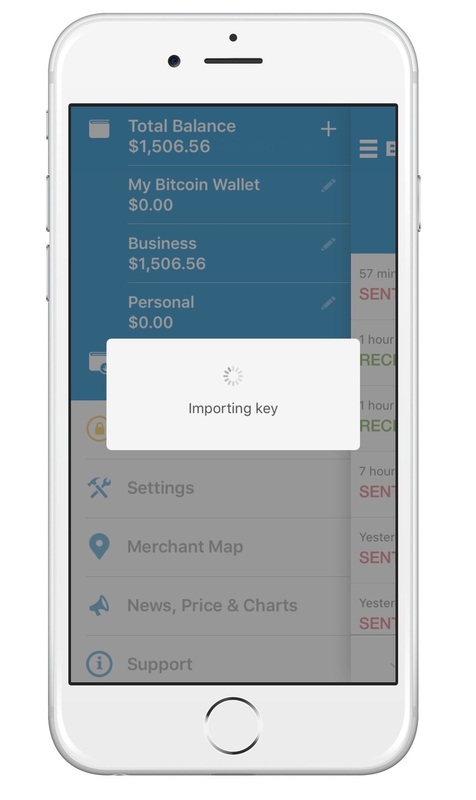 Step 2 - Navigate to the "incoming" transaction page. Step 4 - Enter password. Step 5 - Your wallet will perform the private key decryption.